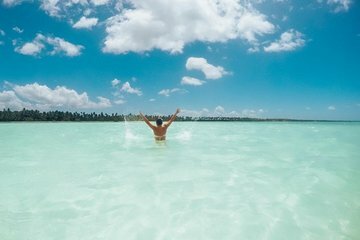 Visit the tropical paradise of Saona Island during a day trip from Punta Cana—a great choice for travelers who want to experience multiple island highlights in one day. Board a speedboat and jet out to the island, stopping at a natural swimming pool where you can see starfish. Walk along the beach, swim in the azure waters, and relax on the white sand. Your tour includes lunch, open bar, and hotel pickup and drop-off.